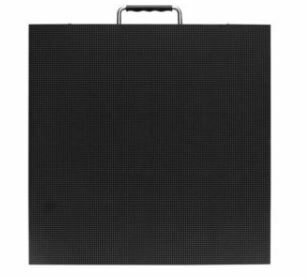 The EVHD3™ is a 3.9mm pixel pitch black face LED display. It’s light weight durable die-cast aluminum frame and modular front maintenance design, allows for easy installation and service. Features include a seamless bezel-free design, no fan metal cooling structure, pixel by pixel calibration for optimized color rendering, uniformity and brightness, an ultra-wide viewing angle, and lockable curve adjustments for smooth convex or concave designs providing easy solutions for creative high-resolution video designs. The EVHD3™ is ideal for any broadcast installations.